We can measure automotive excellence in several ways, but top speed which a automobile can achieve is the one everyone secretly cares about the most. Speed is Dangerous, Risky and of course fast. Speed is something that inspires everybody from Professional racers to hobbyists and to car companies. Ever since mankind found out they could do a lot better than buggies, horses and locomotives. These 30 cars are much more than just fun, and are the fastest cars worldwide. The only emphasis here is on “production;” custom jobs does not apply here. We also filtered the selection to cars whose claimed maximum speeds have been usually recognized as licensed by the sanctioning groups and automotive media. There are also few cars which can knock some names off this list like SSC with its 1,350-horsepower Tuatara still expects to reclaim the title of world’s fastest car, Koenigsegg One claims a maximum speed of more than 273 mph. But these cars cannot have a legal license plate. These are the fastest cars in the world that can legally have a license plate. The Hennessey Venom GT is an extreme performance sports car manufactured by Hennessey Performance Engineering based in Texas. The Venom GT is a modified and more powerful version of British sports car, the Lotus Exige. Depending on your point of “fastest” as well as “production car Venom GT last year recorded a 270.4-mph run at the Kennedy Space Center but still it is not legitimate as it run only in one direction and to be considered legal it usually requires one run in each direction and hence average is calculated on account of wind conditions. The combination of a 1,244-hp 7.0-liter twin-turbocharged V8 and Lotus Elise chassis gives us the fastest production car in the world. The Bugatti Chiron is a two-seater mid-engined sports car manufactured and developed in France, by Bugatti Automobiles S.A.S. as the successor to the Bugatti Veyron. Bugatti Chiron was first displayed at the Geneva Motor Show on March 1, 2016. 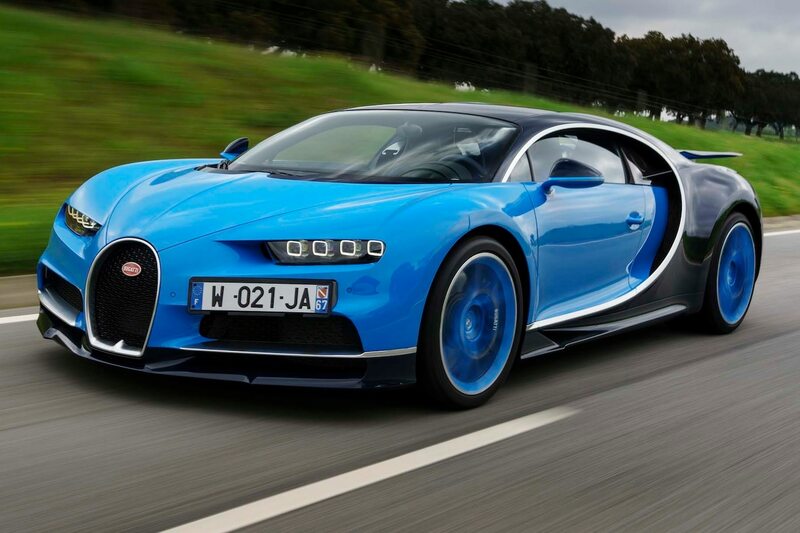 The estimated top speed of Chiron is about 288 mph but it is limited to 261 mph using street legal settings. On the racetrack, Chiron aims to break those current speed record (271 mph) made by the Hennessey Venom GT. The Bugatti Veyron Super Sport is a more powerful and faster version of the Bugatti Veyron 16.4.With a maximum speed of 268 miles per hour recorded at Volkswagen’s Ehra-Lessein test track, the Bugatti Veyron Super Sport is presently recognized as the fastest production car in the world by Guinness. The prestige of the Bugatti name and the might of the Volkswagen Group were outsmarted by a car company no one had ever heard of. SSC North America formerly known as Shelby SuperCars manufactured a engineering marvel in field of fast cars, known as Ultimate Aero. It was also the world’s fastest production hitting 256 mph in 2007 and remain the fastest car in the world till the introduction of Super Sport version of the Veyron in 2010. The Saleen S7 is a high-performance supercar designed and initially built in the United Kingdom by Automotive and Motorsport engineering company Ray Mallock Ltd. on the behalf of Saleen Inc. Saleen S7 is a legend in performance addicts. S7 was America’s first mid-engined supercar produced from 2000 to 20009 and one of the fastest cars in the world. S7 Twin turbo is also a modified version of S7. Koenigsegg is mid-enigined Swedish supercar builder. It held the “world’s fastest” status before being beaten by the original Bugatti Veyron. In 2005, the Koenigsegg CCR achieved top speed of 242 mph at Italy’s Nardo Ring. 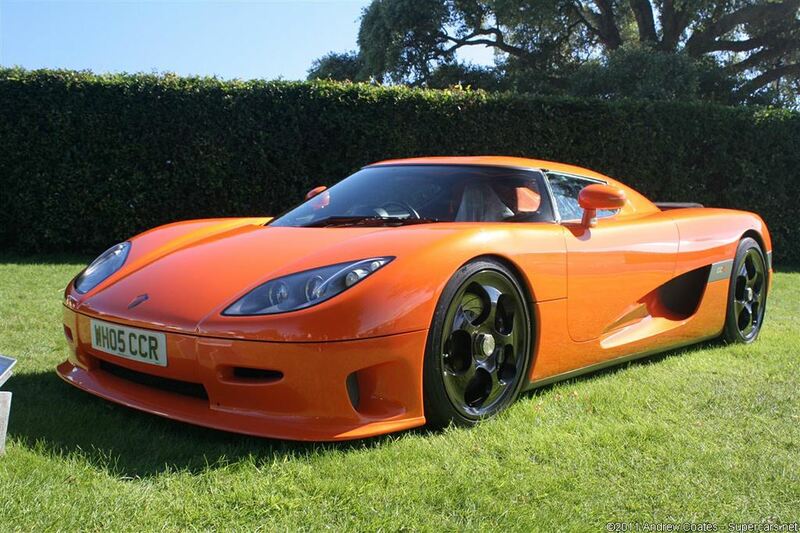 The CCR was an earlier generation of the cars Koenigsegg is manufacturing today. The McLaren F1 is a sports supercar manufactured and designed by McLaren Cars. The F1 is a former 1st ranker in the list of fastest cars in the world. On 31 March 1998, the F1 set the record for the fastest production car in the world, reaching 240.1 mph surpassing the Jaguar XJ220’s 213 mph record from 1992, and the low production number RUF CTR2’s record of 217 mph from 1995. The McLaren’s record was late beat by the Bugatti Veyron in 2005. The Pagani Huayra is a mid-engined Italian sports car manufactured by Pagani. If you ask the definition of a beast, this Italian dynamo is the answer to it. The Pagani Huayra uses a V12, twin-turbo engine manufactured by Mercedes-AMG, especially for the Huayra. Only 100 units of Huayra are made as part of Pagani’s agreement with engine manufacturer Mercedes-AMG it was also reported that the Huayra has been sold out on February 11, 2015. The Zenvo ST1 is a high-performance speedster manufactured by a Danish company Zenvo. ST1 is the company’s first model, and is developed almost entirely by the hands of a small team of workers and engineers, with the exception of a CNC router and is one of the only high-performance cars from Denmark. Zenvo ST1 is also one of the fastest cars in the world ever built. When we talk about British supercars, the first thing usually came to our mind is brands like Jaguar, McLaren, and Aston Martin but there’s another hidden car manufacturer who definitely deserves mentioning — The Noble Automotive. Noble rolled onto the scene in 1999 and has since carved out a small slice of automotive history by releasing several low-volume supercars. The most notable achievement of M600, came in 2009 when it smashed the Veyron’s time around the Top Gear test track. However the car is difficult to drive as it had very few onboard electronic aids, but its performance spoke for itself. Apollo Automobil formerly known as Gumpert Sportwagenmanufaktur GmbH is a German car manufacturing company headquartered in Denkendorf. 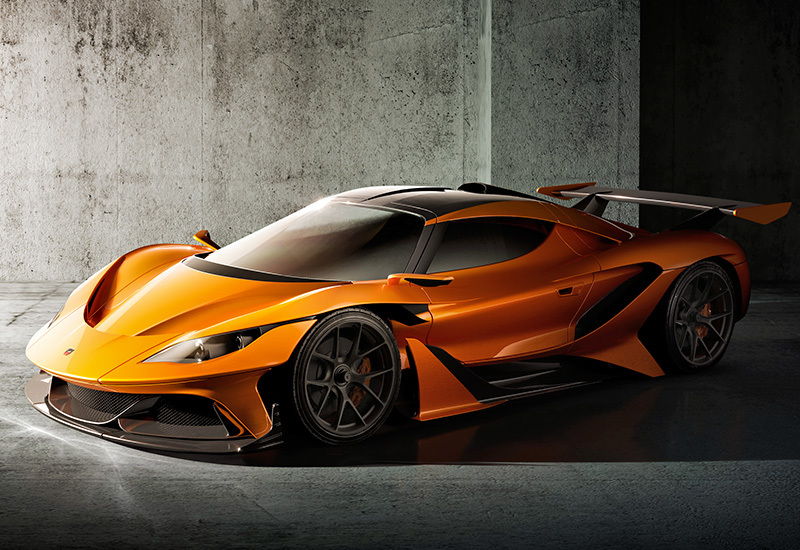 A body sculpted like a dragon’s and wearing bright orange paint Apollo Arrow was is a fantastic example of design and engineering. Based on the Lamborghini Aventador, the Lamborghini Veneno is a limited production supercar and was manufactured to celebrate Lamborghini’s 50th anniversary. Veneno wa introduced in 2013 and was the most expensive production car in the world at that time. This Lambo can approach performance levels of a superbike and also features an array of racing-inspired gadgetry, like quick-shifting ISR semi-auto transmission. The Aston Martin One-77 is a two-door coupé manufactured by the British car manufacturer Aston Martin. One-77 is the fastest and the most extreme road-going Aston Martin ever. 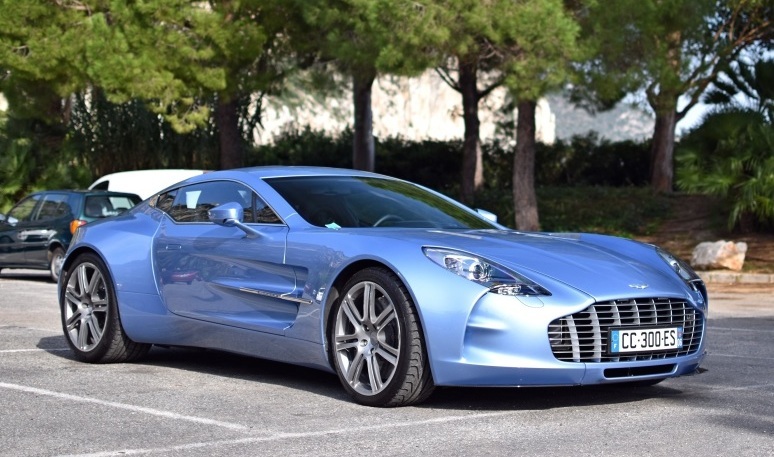 It share similar front-engined layout just like regular Astons, but the Aston Martin One-77 is a completely different beast when it comes to the engine performance. Only 77 such cars are made and giving the supercar name as One-77. The Jaguar XJ220 on the way to production lost 6 cylinders and two driven wheels, but it still somehow managed to claim the status of fastest production car in 1992. The actual concept version featured all-wheel drive and a V12 engine, but the production was made with rear-wheel drive and a twin-turbocharged V6 engine. The McLaren P1 is a hybrid sports car produced by McLaren. This concept car was capable of acheiving speeds of 217 mph with the limiter on. Successor to the F1, the P1 is not that fast but it much more high tech than the F1. P1 is one of the most capable cars ever made.The 903-hp hybrid powertrain of P1 seamlessly blends its electric and turbocharged V8 power, making the most of the machine. Along with the Porsche 918 Spyder and P1, the LaFerrari is also the part of a trio of hybrid cars. When it comes to cleverness and top speed Ferrari stands neck to neck with Mclaren. Kinetic Energy Recovery Systems (KERS) installed in Ferrari’s Formula One cars is combined with La Ferrari’s V12 engine in a hybrid way. he Lamborghini Aventador LP 700-4 is a mid-engined sports car manufactured by the Italian manufacturer Lamborghini. The Aventador is renowned for its signature scissor doors. The production was planned to be limited to only 4,000 vehicles however, it achieved the 5,000 unit milestone in 2016. One of the wildest and stylish designs of the decade the Aventador’s price tag is quite low as compared to its million-dollar top speed contender. The Ferrari F12berlinetta or the F12 is a front mid-engine, rear-wheel-drive manufactured by Italian sports car manufacturer Ferrari. Debuted at the 2012 Geneva Motor Show, the F12berlinetta replaces the 599 series grand tourers. It’s naturally aspirated V12 engine has won the “Best Engine above 4.0 liters” and the “Best Performance category” in the International Engine of the Year Awards 2013. Car magazine Top Gear also named F12berlinetta “The Supercar of the Year 2012”. The Porsche 918 Spyder is a plug-in hybrid mid-engined sports car by Porsche.The Spyder can, of course, hold its own on the straights, but on the track, the German speedster is at its most comfortable, where it’s unbelievable acceleration and all-wheel drive traction combine to take on the record books. At Mazda Raceway Laguna Seca Porsche 918 Spyder also holds the fastest production car lap record and ranks 19th in our fastest cars in the world list. Ferrari GTC4Lusso is the third car from Ferrari in our fastest cars in the world list. If the Ferrari F12 Berlinetta is missing something then it must be an extra pair of seats. Luckily, that’s where the GTC4Lusso comes in.With its price and four driven wheels and four seats, Ferrari GTC4Lusso could be the best daily-driver supercar with all-season capability. The Bentley Continental GT is a grand tourer manufactured by the British automaker Bentley Motors from the year 2003. After the acquisition of the company in 1998 under Volkswagen AG-management, it was the first car released by Bentley, and the first ever car from Bentley to employ “mass production” manufacturing planning and techniques. 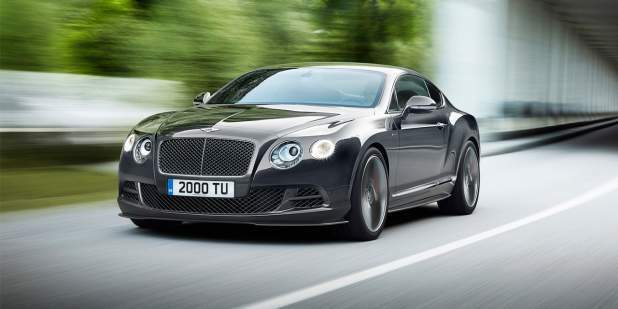 Despite its bulky weight Continental GT somehow managed to be in the fastest cars in the world list. 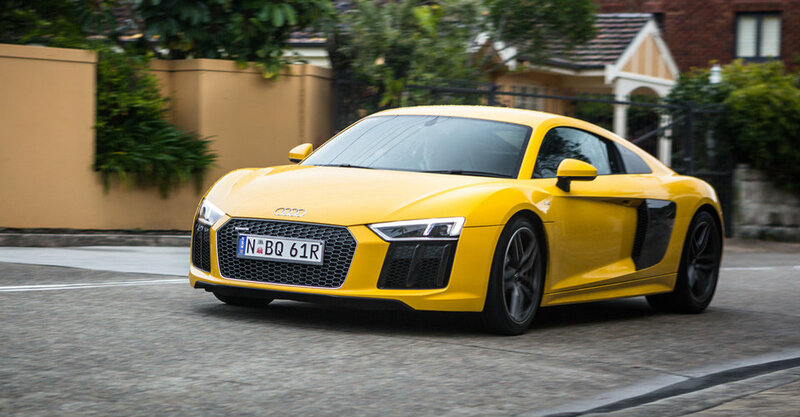 The Audi R8 is a 2-seater, mid-engine sports car, which uses quattro permanent all-wheel drivesystem. The German car maker Audi AG introduced R8 in 2006. The magical number for every car maker the 200-mph benchmark acts an main measuring stick for supercars. Audi finally broke into the 200-mph club in 2015, with the 2nd-generation V10 Plus model, which gives an impressive top speed of 205 mph. 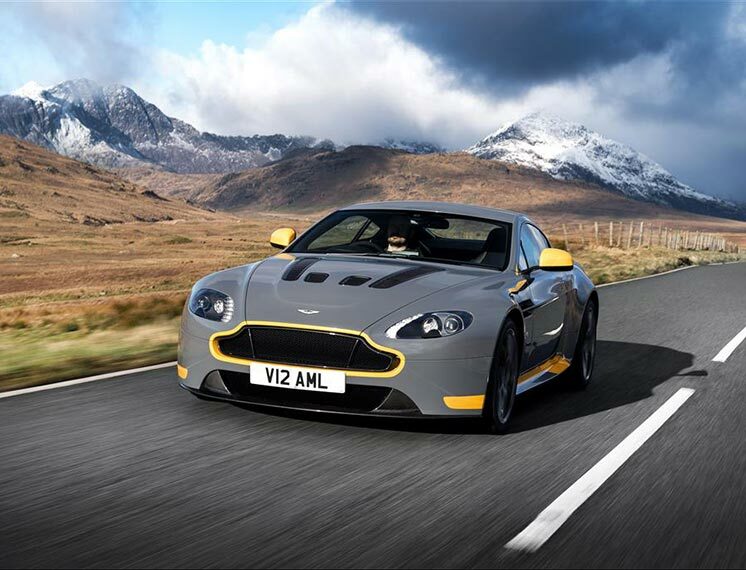 You’ll love the Aston Martin V12 Vantage S if you favor your supercars with British heritage. On 28 May 2013, Aston Martin proclaimed the V12 Vantage S – a sportier version of the V12 Vantage. Along with aerodynamic and styling changes, it also includes lightweight forged alloy wheels, a carbon fiber front grille, black roof and rear grille, and new finishes on the interior seats, controls, and doors. 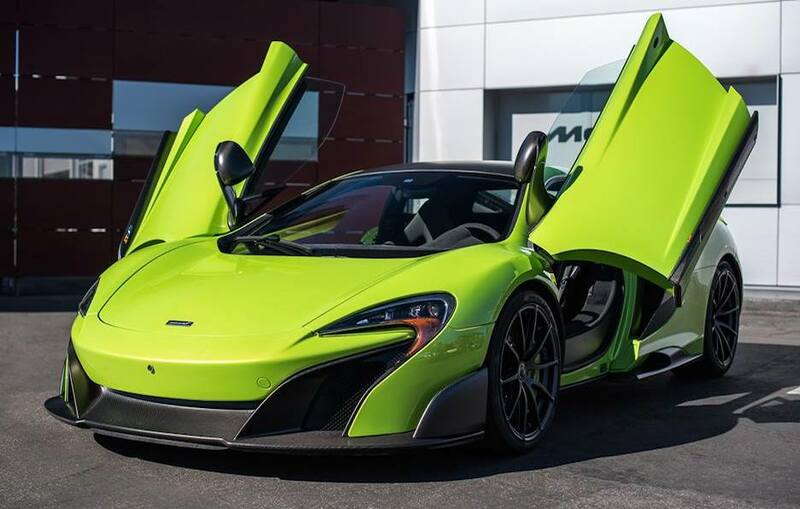 The McLaren 675LT is a lightweight, track-focused evolution of the McLaren 650S where “LT” stands for Long Tail. It was introduced at the Geneva Motor Show 2015. 675LT is presently the fastest car with a time of 1.13.7 beating the Pagani Huayra by just 0.1 of a second on the Top Gear test track. Even if does not have a hybrid KERS system like the LaFerrari, but still the 488GTB is indeed a modern Italian. It was launched in February 2015 as a successor to the 458 Italia. Ferrari is always a brand to feature in the Fastest cars in the world list as the machine provided by this Italian manufacturer is just insane. Built by the German manufacturer Porsche, the Porsche 911 GT2 was a high-performance sports car manufactured from 1993 to 2012. GT2 was based on the 911 Turbo, and uses an alike twin-turbocharged engine, but features various upgrades, including engine upgrades, lighter weight, larger brakes and stiffer suspension calibration. The Lexus LFA is a two-seater sports car from Lexus. LFA is the 2nd model in the F marque line of high-performance vehicles from Lexus. The LFA features an advanced even firing V10 engine and CFRP- carbon fiber-reinforced polymer body. CFRP materials account for almost 65 % of the LFA’s body composition by mass. Named after a famous breed of fighting bull, the Lamborghini Gallardo is a sports car manufactured by Lamborghini from 2003 to 2013. Gallardo is Lamborghini’s best-selling model with 14,022 being manufactured throughout its lifetime. Gallardo is an evolution in the new era of sports car. The Cadillac CTS-V is a high-performance sedan from General Motors. 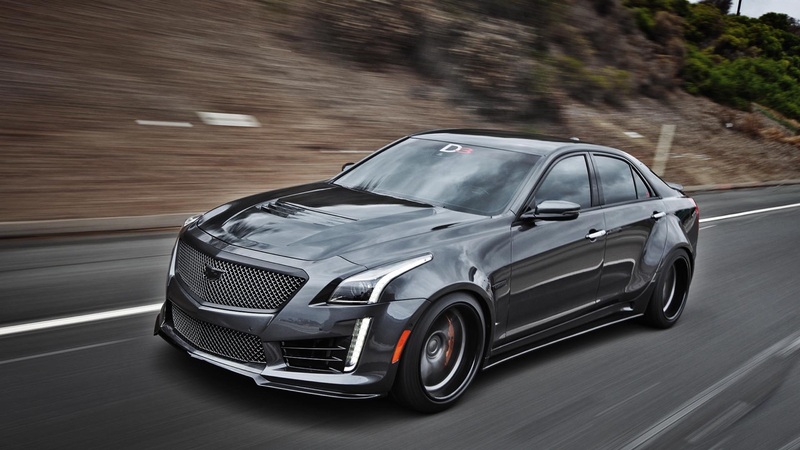 The CTS-V series includes 3 body styles, all of which feature a sport-tuned suspension and a pushrod OHV V-8 engine. The CTS-V sedan competes in the North American market against other high-performance and luxury sedans. Cadillac CTS-V is a super sedan in every sense. The Chevrolet Corvette C7 Z06 is a sports car manufactured by Chevrolet. Coming to the point, the Z06 is, quite simply one of the fastest cars in the world and ranks 30th in our fastest cars in the world list. The Z06 is amazingly quick.